Bruce has a WooCommerce store in which he wants to set up price adjustments for his products. He uses our ELEX WooCommerce Catalog Mode, Wholesale and Role Based Pricing plugin for achieving this goal. The price adjustment feature in the plugin is used to configure discount or markup value for all products, based on user roles. But Bruce wants to exclude some product from the price adjustment, to sell at its original price. 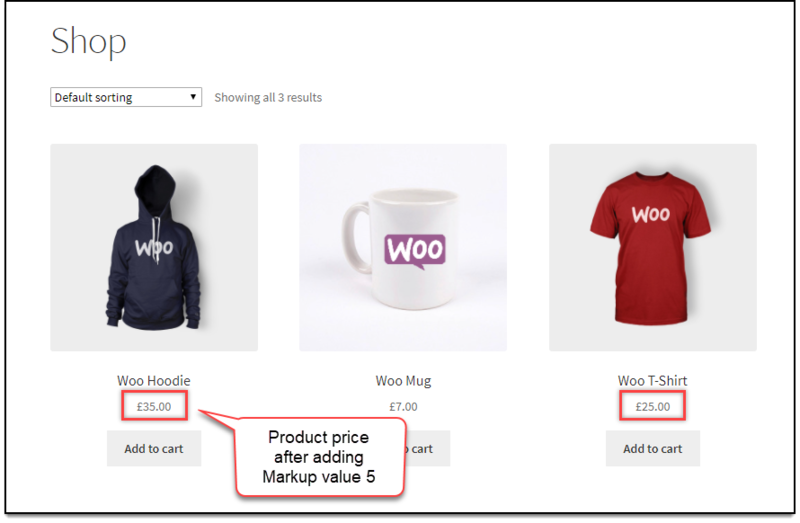 Although we have seen a simple demonstration of price adjustment in this part of product setting up article, in this article, we will see how to exclude certain product(s) from price adjustment on your WooCommerce store. The initial price setup in Bruce’s store is as shown in the screenshot below. Notice the price of each product. Let us now add a discount of 10% to all Administrators of the store. Following screenshot shows how price adjustment is configured in the Role Based Pricing settings of the plugin. Once the price adjustment is applied, all the products in the store will be affected as shown in the screenshot below. Bruce wants to exclude the product – Woo Mug from price adjustment. To exclude a product, we need the product ID of that specific product. The product ID can be found in the Products > All Products section, as shown in the screenshot below. Next, let us paste the following code snippet in the functions.php file of our activated website theme. Note: To use this code snippet, replace the value 17 in the array(17) with the ID of the product to be excluded from the price adjustments. For multiple products, separate each product ID with a comma. 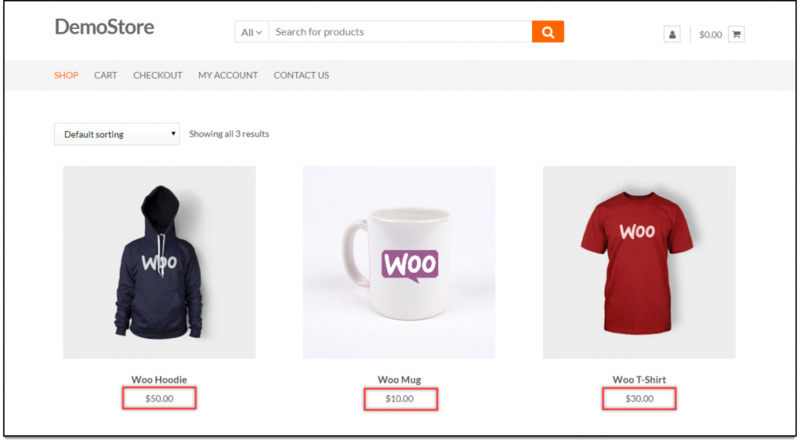 Following screenshot shows how the discount of 10% is applied to other products except for Woo Mug. 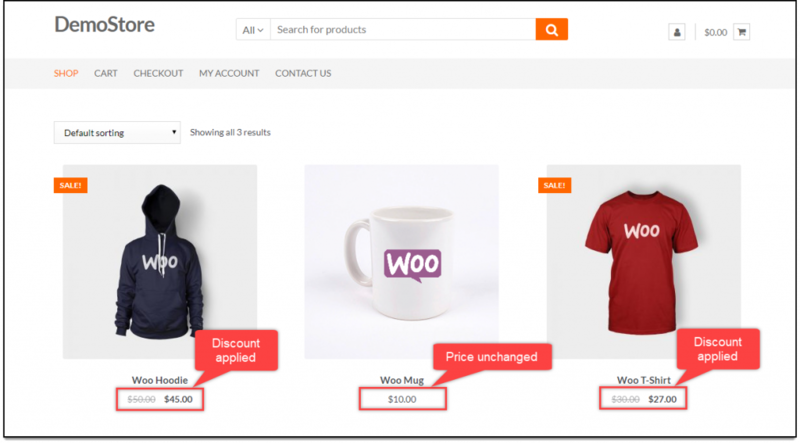 In this way, you can exclude certain products from Price adjustment on your WooCommerce store. If you wish to exclude all products from discounts that are already on sale, you can add the following code snippet at the end of the functions.php file of your activated website theme. Explore more details about the plugins, go check out ELEX WooCommerce Catalog Mode, Wholesale & Role Based Pricing plugin.